Nice piece, I agree with most of it. Of course, it is about Europe and the USA. Assuming NZ and Aus keep importing people at reasonably high rates, we won't have the same population stagnation / decline issues that Japan has had. But the big picture factors still apply. "Of course, it is about Europe and the USA." Almost certainly not USA .. the demography there is just to different from Japan . Even Europe has more capacity to import people than Japan would / could ever tolerate politically . Possibly a big difference between Japan and the rest of the Western world is the high immigration levels. Quite a lot of activity must be generated just by having to look after so many different diverse people that it is a type of new industry in itself. The Herald had an article about how different ethnic groups are poorly represented in official NZ data etc. We need to identify every different group and ensure we cater for their needs which will generate huge opportunities in health and education and who knows what else for workers. As we move away from 19th century style production to the well being of all individuals we will really need to pour a lot of time and effort into this project. I'm not really joking about this either. Actually migration to Japan from Vietnam and the Phillippines is increasing at a rapid pace partly to fill gaps in healthcare for an ageing population (as well as in manufacturing, agriculture, and service industries). Furthermore, the Japanese education system is growing because of the influx of foreign students. Japanese language is far more popular and ubiquitous for study than Mandarin in Vietnam. Migration to Japan may be growing at a rapid pace but that is because, by Western standards, it is at a very low level. In 2015 there were 2.223M foreign residents, in 2017 2.471M. 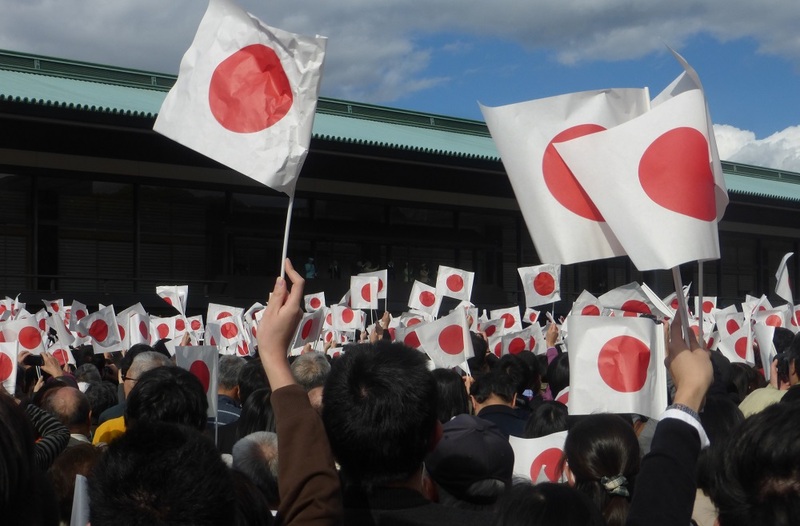 2.5M was touted as a record high for Japan in 2018. Growing rapidly? Really? This is slightly less than 2%. Compare that to NZ or even the US. Imagine if two out of a hundred people were foreign born at your place of work. I looked around at work today and there were no NZ born people in the office. OK. In the case of NZ and Australia. GDP per capita is deteriorating. In Japan, it is not. So who's better off and what rate of migration is better? Exactly. Japan is dealing well with a steady state economy , sustaining demand via fiscal policy despite demographic shifts. From Maudlin's description you'd think Japan was some dreary dull sort of stagnating place. Not my experience of it. Japanese businesses seem to have a wonderful respect for not only profit, but for customer satisfaction and social contribution. And as a consumer, Japan does not disappoint. Never seen such quality choice at low prices. A Japanese 100 Yen shop puts the Warehouse to shame. Public infrastructure is also amazing. The aging population seems to me to mean a lot of wisdom pervades policy choices. Lots to learn from Japan. I read that article and Spoonley has a point - what is 'Asian'? Does say a Korean walking down the street seeing a Sri Lankan coming the other way say 'wow there is another Asian'. He is right for his statisitical work but when he claims unrecorded ethnic groups feeling 'marginalised and unrecognised' he is speaking rubbish. My wife is a Mekeo from PNG and there may be two or three living in New Zealand - from her perspective everyone else is just unlucky not to be like her. My grandson is a combination that is probably unique in the world with a mix of a specific Papuan (Mekeo), Low Island and Western Highlands (all melanesian but ethnic cultures separated for over 60,000 years). The significant fact about all ethnic groups in New Zealand is that they all want to be here. Listening to the sad stories about the victims in Christchurch a common theme was how they were involved in NZ society; they came from many countries, their faith was Muslim but their jobs and their sporting clubs and their interests were Kiwi. Finally a good article that highlights the structural nature of global growth. Good job. A quote that basically captures the nature of the structural problem globally, and increasingly so within Asia.. "For the first time in recorded history, there are more people aged over 65, than there are under 5"
Yip , its called deflation, and I have been going on about it for years . Very interesting piece John will have to read it more closely later. Socially we nzers are very different to Japanese which could play a part and also multicultural. Houseworks, "the world will not end and, for those paying attention, will be a better world" These are certainly wise words. Why bet your retirement on the one rental when asset prices will sink and debt owed will rise in size by ratio? In the near future, the buying power of those who are cash rich/debt free will increase considerably. Houseworks, if there's anything in this you can be sure the Hamilton Council will want to levy the ratepayers who use Airbnb and Bookabach. Hamilton's debt is eye watering. They are obsessed with rooting out additional revenue streams. It's a bit like choking the rooster before dawn. Is that your best response? When you think about the huge quantity of 'money' out there in circulation, you'd think there'd be enough everyone. 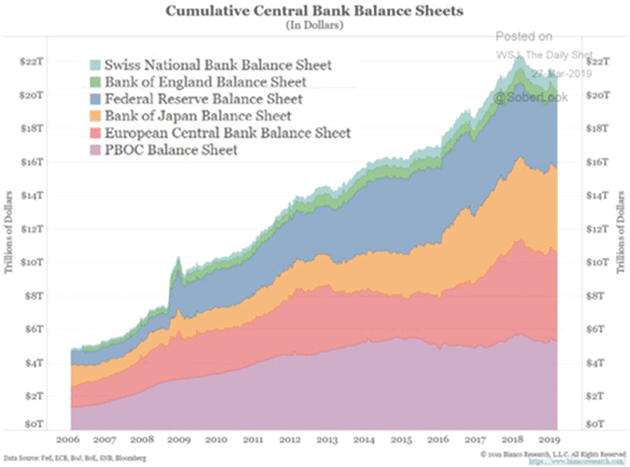 The reality is it's all debt (bank credit) created & someone will have to pay the piper eventually. Interesting article. To me the crux of this view is that companies are becoming increasingly profligate with resources (capital, human etc.) rather than genuinely focusing on reducing waste and promoting innovation. How do we increase management acuity in private companies towards tackle wasteful or inefficient practices? Also, seperately, your view seems to be a juxtaposition with those talking about a future where automation and robots makes companies more efficient? Checking wikipedia and gross domestic product (at purchasing power parity) per capita has the Japanese about 10% better off than the Kiwi - the IMF, WB and CIA all agree. I would like my income to increase by a tenth. For exports Japan is 4th and NZ is 52nd but they are much bigger. More significant is annual growth rate per capita - Japan's 1.9% is over double New Zealand's. What are they doing right that we are doing wrong? I think that is their problem - they haven't realised that the whole idea of becoming rich is to work less. A lot of Japanese work long hours, often unproductive sitting at their desk waiting for their boss to go home. They get very few holidays. I wouldn't do that to be a tenth better off! Not according to the people I met over there. They were amazed we get 4 weeks leave. Most worked weekends and confirmed the 'don't leave before your boss' mentality. Evening rush hour seems to be about 8 PM. Productivity. Also, Maudlin fails to mention that Japan is a net creditor to the world partly because of their industrial output. Ummm, the answer is pretty simple. 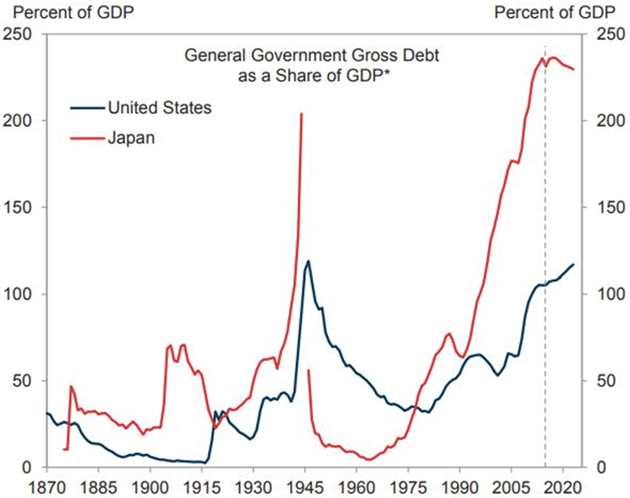 They are using central bank funded fiscal deficits to offset private sector savings drains and sustain effective demand at near full employment levels and not worrying about public debt to gdp ratios cause the Yen is a fiat currency that is in unlimited supply. Basically they are MMT in action. Meanwhile in NZ the government hoards its surplus with its love of austerity settings to the detriment of us all. I realise the situation is quite complicated, but since infinite growth on a finite planet is impossible, it's a bit odd that Japan's situation is considered to be 'bad'. Is there actually a limit to economic growth on a finite planet? Of course there is. What is the point of "economic growth" unless you can spend it on resources, and there's the rub. When it is all boiled down, growth means more people, and we have to stop overrunning the planet. Economic growth doesn't necessarily require more people. For example machines can create economic growth. And not all resources are finite. Its quite conceivable that all of our food and energy needs could be met sustainably. Oh boy, where to start. Machines creating economic growth, okay, but how does that happen? By people purchasing what they produce, so if population is decreasing then not so much stuff will be needed by a) fewer people b) older people, and if stuff is made by machines, then what are the people to purchase that with. Then, who owns the machines, do you have a handful of people with ownership so that any growth goes just to them or do you have ownership by the collective so all gain an advantage from it? And yes there are resources that are not finite in terms of being able to do them over and over in the same place, but there is still a limit in terms of expanding them. We truly, truly have to get over the idea that growth is finite, do you really want to come to that realization after we've wiped out the world's wildlife catering for our crazy notion that neverending growth is possible on a finite planet. It isn't and that is all there is to it. Japan has a declining population and some farm land in the north is returning to wilderness. Compare to Auckland planning for an increase in population of 25% (0.5m) in the next ten years. Incidentally all previous Auckland plans seem to have under-estimated population growth. I think what he says is feasible. I would add though that Japan exported its problems to the rest of the world by lowering its interest rates. With the rest of the world facing the same problem, who are they going to export it to? So what's the go to investment in the coming economic environment? There isn't one. That's the whole point. The temporary game where money could apparently beget money, is no longer underwritten by the planet. To move ahead it does seem like you need to expand in some way. China's recent successful expansion has happened because it had a huge pool of rural people that migrated and are continuing to migrate to the cities where the industrial centres are. In the past all great empires expanded as well as moved people from the countryside to the cities or to colonies. New Zealand does have room to expand and by importing people it is kind of building up a mini empire. Of course it wont be without consequences. Already the change is dramatic which means the political and cultural character of our country has forever changed. People will need to give up on the idea of seeing their cultural identity reflected in their government. The government will become identity neutral. Most modern citizens will become identity neutral. Advanced citizens will be high functioning individuals able to define their own identity. They will be able to constantly revise their relationships with their country, their ethnicity, their religion, their gender and their culture. Indeed this is the ideal for a high functioning individual. The world will represent a profoundly rich environment full of opportunity for such individuals no longer tied to outdated and restrictive norms. I think most immigrants sense this state of affairs within Western countries and for the individual it is a rather good thing. You haven't been listening again, have you? You can't fight it PocketAces, you just have to embrace it. The individual egoist just has to make the best of the environment he finds himself in. The problem with articles like this is they assume that all factors are fixed. There is no room to assume that an unseen factor could change everything. That could include a global pandemic that derails international trade to the appearance of startling evidence that oil is indeed self renewing and not scarce at all. Imagine how each and every economic assumption would be affected if something like that happened? Mauldin makes the usual mistake about Japan. A stable or decreasing population is a great thing for wealth and lifestyle. He just assumes we all think it's a problem, but not all of us do. Reading this article, one would be forgiven to think that the situation in Japan is bad bad bad. Is that true? Is GDP per capita in Japan better or worse than in NZ (or US)? If GDP is not increasing, or only increasing slightly, but population is declining, does that mean you need to import people just so you can say that you have increasing GDP again? Personally I think Japan is a great model for the world to step back and stop the Ponzi scheme that eternal immigration perpetuates. The only path to prosperity is better productivity, not importing more people.